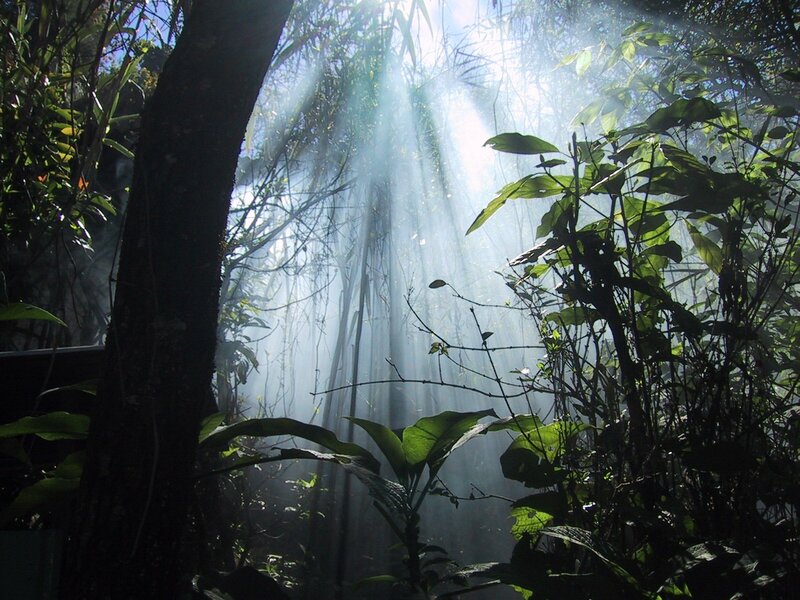 The perfect climate for tropical rainforest is the climate around equator, where rainfall and temperatures are high, and the seasonal changes are minimal. Average temperatures are at least 30°C during the day and 20°C during the night. Rainfall needs to be at least 1500mm a year, but is often much higher. Both temperatures and rainfall remain constant all year around. Tropical rainforest plants and animals are not adapted to seasonal changes and need temperatures and humidity to stay relatively constant.